Babies’ teeth begin to develop before they are born, but in most cases don’t come through until they’re between 6 and 12 months old. Most children have a full set of 20 milk or baby teeth by the time they’re 3 years old. When they reach 5 or 6, these teeth will start to fall out, making way for adult teeth. Read more about baby teeth and how to tell if a baby is teething. There are 32 adult teeth in total – 12 more than in the baby set. The last 4 of these, called wisdom teeth, usually emerge later than the others, generally between the ages of 17 and 21. Wisdom teeth that don’t come through properly, or at all, can be painful and it may be necessary to have them removed. Dentine protects the inner part of the tooth, called the pulp. The pulp is where each tooth’s blood supply and nerve endings are found. The blood supply is what keeps the teeth alive and healthy. The nerve endings send messages to the brain, such as whether you’re eating something hot or cold, or if you have a decayed or damaged tooth. Incisors. These are your 4 front teeth on the top and bottom jaw. They’re used for cutting and chopping food. Canine teeth. These are sharp, pointy teeth. 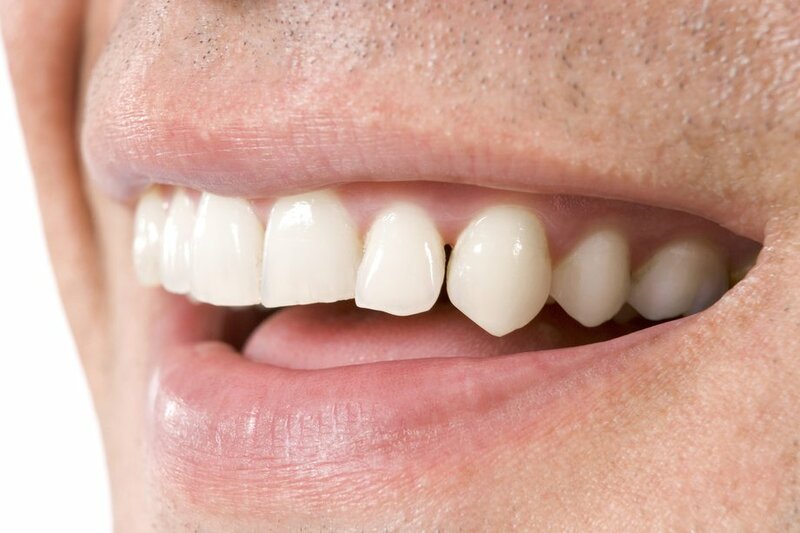 You have 1 on each side of your incisors on your top and bottom jaw, making a total of 4. They help to tear food. Premolars. Next to your canine teeth are your premolars (also called bicuspid teeth). You have 8 premolars in total: 4 on your top jaw and 4 on the bottom. They are bigger and wider than your incisors and canine teeth, and are used for crushing and grinding food. Molars. You have 8 molars: 4 on top and 4 on the bottom. These are your strongest teeth and work with your tongue to help you swallow food, mashing it up until it’s ready to be swallowed safely.